Have you ever wondered what it would be like to host a World Poker Tour event in your own house? Impossible, right? Not at all, if your house is in Sochi, Russia. The WPT Russia Main Event kicked off on Monday and it has attracted a field that, so far, could comfortably fit in my home. Sure, I would probably have to clear the couches out of the family room or perhaps tell my kids to take all of their crap from the play room up to their bedrooms so I could fit a few poker tables, but man, this one is shaping up to be on of the smallest events we have ever seen on the WPT Main Tour. On Day 1A, just 31 players registered for the WPT Russia Main Event and 17 players made it through to Day 2. In multi-flight tournaments, the first Day 1 flight is almost always the smallest, so there is certainly opportunity for WPT Russia to end up with a respectable tournament, but it is still going to be very small. In recent memory, the WPT Tournament of Champions is the only Main Event on the Main Tour that would come close to this one, and the TOC has a $15,000 buy-in and is open only to past WPT title winners. The three WPT Tournaments of Champions have attracted fields of 64, 66, and 80 players. As for how things went on Day 1A of the ₽198,000 (approximately USD $3,000) WPT Russia Main Event, Danilo Velashevich emerged as the chip leader, finishing the night with 151,800 chips. Only one other player – Alexandr Sheshukov – has more than 100,000 chips, coming in at 111,500. Nobody else has eclipsed 80,000. And with blinds and antes set to be 300/600/600 at Level 9, Velashevich’s lead is definitely sizable. Velashevich made his push late, as even as late as Level 5, he barely had more than 40,000, less than half of what the chip leader had at the time. His most important hand of the day came during the final level, when he open-raised pre-flop with pocket Tens and called an all-in by Murun Ganzorig, who had Kings. This should have set Velashevich back significantly, but he was able to flop a Ten to make his set and eliminate Ganzorig. Even the best need a little luck now and again. Day 1B of the WPT Russia Main Event will get underway at noon local time at Casino Sochi (4:00am ET). 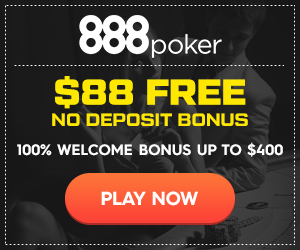 Players are allowed one re-entry per day, so expect several players to fire another bullet or two on Tuesday to try to launch themselves toward a World Poker Tour title.